At the same time as enabling interoperability of trains in the EU, the deployment of ERTMS has two significant benefits – to enhance safety and to increase the efficiency of train operations. Greater train operational efficiency is gained by enabling trains to run more frequently and by enabling the trains to be longer, thereby making it easier to carry more passengers. This is made possible because in place of the previous national signalling equipment etc, ERTMS uses a single new Europe-wide standard for train control and command systems. 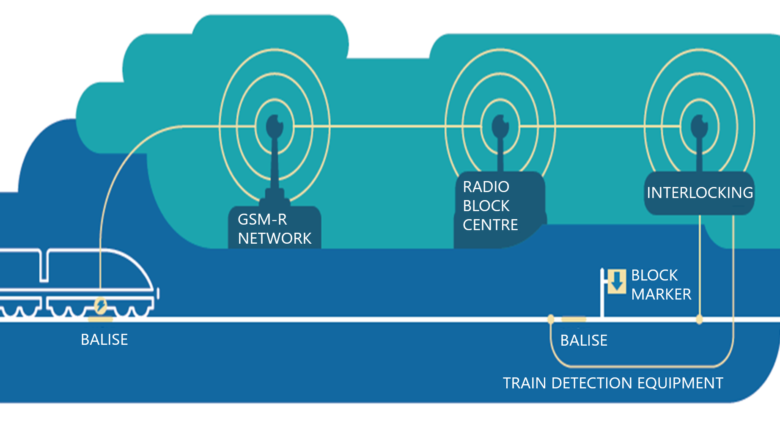 Why test ERTMS rail telecoms and signalling performance? If either or both of the GSM-R or signalling systems fail, the train control system is compromised and it cannot operate. This causes delays, incurs penalties and costs, and impacts safety. That is why they need troubleshooting and regular network quality assessments. Accurate and frequent testing is used on new train lines to demonstrate they meet the necessary ERTMS and industry safety standards. Testing existing lines ensures that a high quality of service continues to be available at all times and helps with maintenance planning. In many cases, the test and monitoring equipment is installed on test trains and wayside, along the track. Telecom and signalling operatives collect GSM-R and signalling data, which is used to measure the quality of service and identify issues. However, as test trains often operate outside the main commuting times and are expensive to equip, portable GSM-R testing solutions are also used to extend the testing capability. Operators can conduct their own tests or run automated tests on-board operational trains or on platforms, using test equipment in trolleys or backpacks.